Bents Garden Centre isn't simply a garden centre, it's a destination. What once started as a family business in 1937, when Albert and Margaret Bent first began selling roses from their front garden, is now an empire selling books, gifts, furniture, clothing and more, in addition to the usual plants and shrubs. 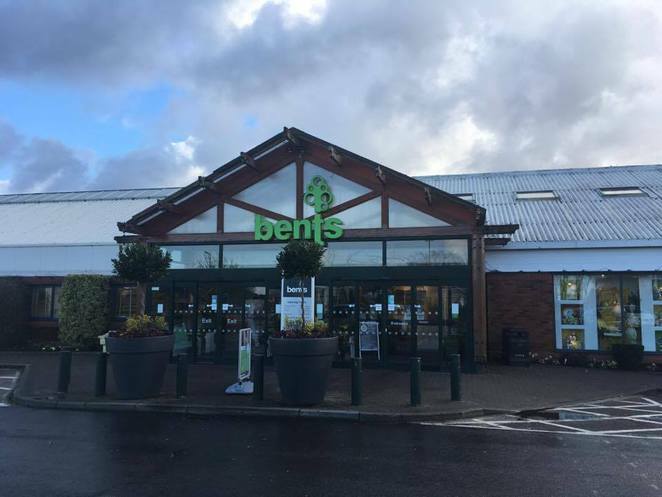 More recently, a string of other shops have attached themselves to the Bents brand, with a craft shop, outdoors shop and pet shop. Yet, I don't come to Bents to shop. I, like many people, come to be surrounded by life's little luxuries; be it candles, wines or sumptuous foods, it's just a wonderful place to mooch around. Bents has cottoned onto this and has been quick to cash in. It now offers a variety of cafes and eating places; most recently it began offering Tapas by its wine-tasting area. If you're looking for gift ideas, Bents is the ideal place to go. There is a food hall, where you can find all kinds of delicious treats to bring home, including wines and spirits, imported food, and some great gluten-free options. There are also handbags and purses from the likes of Radley on offer, ladies clothing with popular brands such as Joules, beautiful jewellery, ornaments and bath treats. The list goes on. There is also a great selection of cards and stationary. None of this is cheap, nothing really is in Bents, but that's not the point. It's indulgent and luxurious, and that's just fine. If you're one of the few people that have come to Bents for its plants, you will find a variety of beautiful indoor and outdoor plants, which are ideal for gift-giving. It's worth noting that Bents offers a 5 year, no-hassle replacement guarantee on all of its outdoor hardy plants. There is a good selection of house and garden furniture too, but be warned - you could easily spend a small fortune. When you're ready for refreshment, don't expect it to be cheap. There's a lots of delicious foods and cakes on offer, you will simply be spoilt for choice. 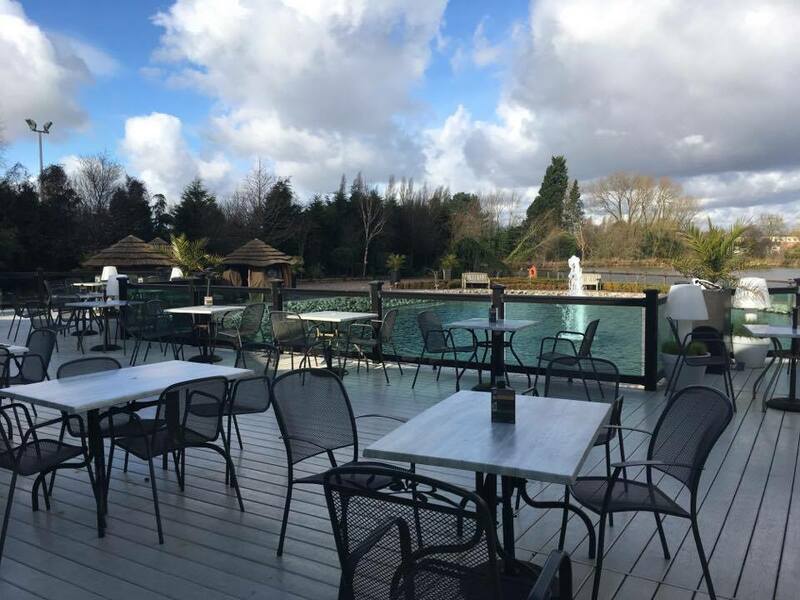 If it's a beautiful day, head outside on the patio, where you can enjoy the view of the small lake. If you have children with you, you can sit next to the playground, and hopefully enjoy a peaceful coffee whilst the kids play. Bents certainly caters for children. As well as a fabulous playground outside complete with ride on toys, slides and climbing frames, there is a sand pit indoors for the wetter days. Let your little ones tug off their socks and shoes and get down and dirty with a bucket and spade. For tiny book-lovers, there are plenty of books to look at, and they even hold a story time session on a Tuesday and Thursday morning from 9.30am -10.30am. There's a brilliant toy area too. At the Fresh Approach Restaurant, you will find a kids area with colouring pages and crayons. It's worth noting that the kids' food options are delicious too. Dogs are welcome at the new Pets Place which is one of the newer areas, where your pooch can be truly pampered. Book him in to be groomed, and then treat him to something delicious at the Pet Cafe, where they cater for canines as well as humans. The shop also sells a range of toys, beds and food. I can't talk about Bents, without mentioning Christmas. If you're only going to go to Bents once, do so at Christmas, as they truly embrace the festive season. With real and artificial trees galore, decorations for every colour scheme and outdoor lighting, Bents is a truly magical experience in December. Father Christmas himself wanders amidst the sparkling decorations, saying hello to wide-eyed children. If you fancy spending a little more time with him, book in for one of the breakfasts with Santa. They book up early though. One thing I will say is that Bents is beginning to feel a little too big. The choice is fantastic, but there are very few tills, meaning that you find yourself having to trek from one side of its huge empire to the other. Also craft shop, C-Crafts and outdoors shop, Trespass are separate shops, which isn't really apparent. Therefore you cannot bring things that you haven't bought through to these areas. 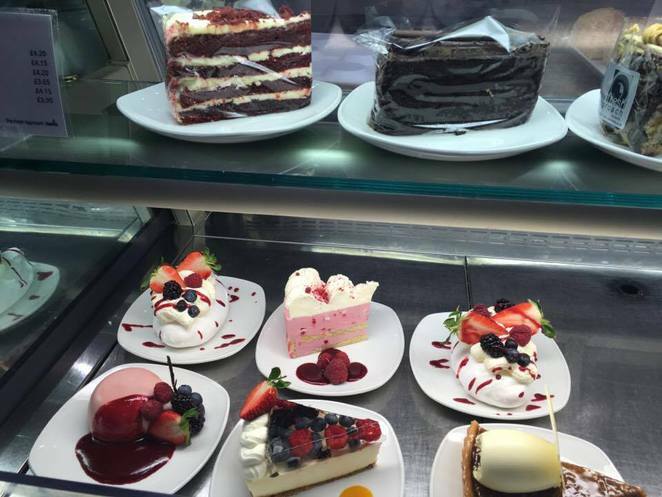 Bents is a place to take your mum, aunty or grandma for a treat. It's a place to meet friends and enjoy a lazy coffee. It's somewhere to entertain your toddler when you want to surround yourself in luxury instead of sitting in a church hall as little ones run around you. And it's somewhere to pick up that last minute gift. I suppose what I'm saying is that in all honesty, Bents has it all.